When she comes home to find her parents murdered by an elf — yeah, an elf — she’s thrust into a world of magic, mystery, and a madman who wants her dead. The question is… why? Merged with a powerful artifact created by an evil mastermind, Victoria is hunted, stabbed, burned, shot, and attacked in the street… but she’s a survivor, damn it, and no one’s taking her out. She falls in love with the magical underground city of Fairhaven, and when the elf who assassinated her parents comes after her new home, she not taking any prisoners. Missed the humor and robust storyline of Martha Carr’s first novels. The storyline is convoluted and slow. Victoria is an irritating character. Teenage angst with mourning & gnashing of teeth. The high pitched, ear splitting teenage narration is agonizingly, destructively, soul destroying. 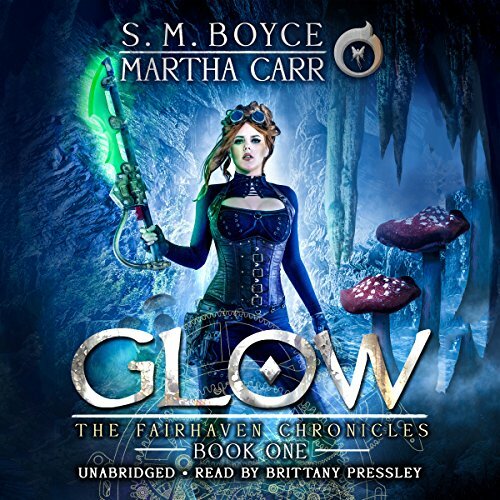 A disappointing YA novel from Martha Carr. I expected so much more. This book can’t compare on any level with her Leira Chronicles. I found myself rather enjoying this story, Luak however has absolutely no redeeming qualities about him. Fairhaven is a rather intriguing place.